Yesterday I announced the winner of the 2 tickets to the Heineken Light Burger Bash. In case you’ve been living under a rock, to win those coveted tix you needed to participate in the Heineken Light Burger Beast Challenge. While that was going on in social media-land, I was busy traveling around South Florida visiting the 24 participating restaurants (scroll to the bottom of the page to see the list), grabbing a Burger and a Heineken Light. I was also posting a picture of each one on Social Media (Facebook, Instagram & Twitter). This has been the toughest year to select just one “Best” Burger out of the bunch. After much deliberation, I’ve gotta say that the winner is Keg South of Kendall with their simple but effective 1/2 lb. CheeseBurger. 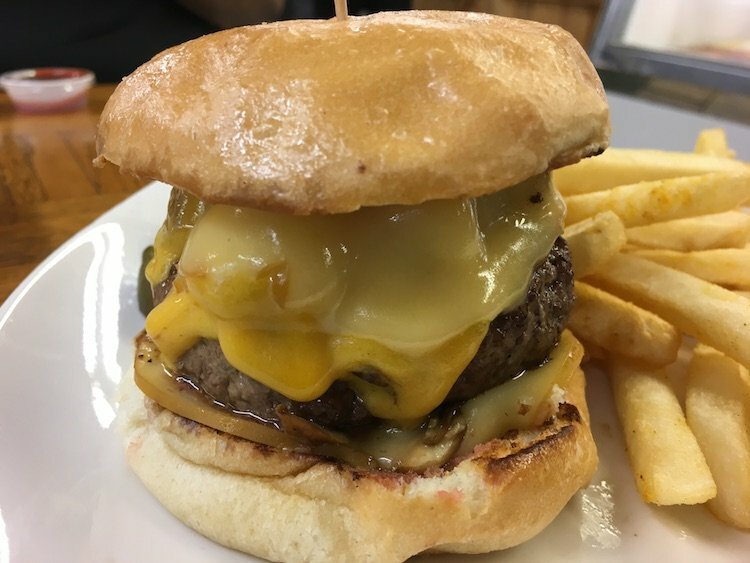 I don’t think you’ll find a better and more consistent chargrilled Burger in South Florida. They not only win the 2018 Burger Beast Champion plaque but also 2 tickets to the Heineken Light Burger Bash (part of the South Beach Wine & Food Festival). Congratulations to Keg South of Kendall!!! Thank you to Heineken Light for sponsoring the 2018 Heineken Light Burger Beast Challenge and to all of the participating restaurants who created some really great Burgers.